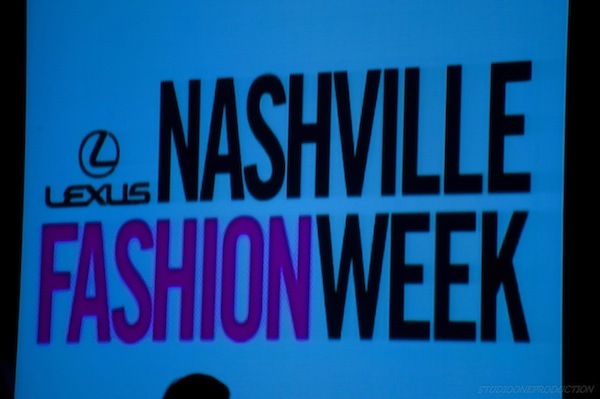 NFW 2012: Nashville Fashion Week Begins With A Bang! 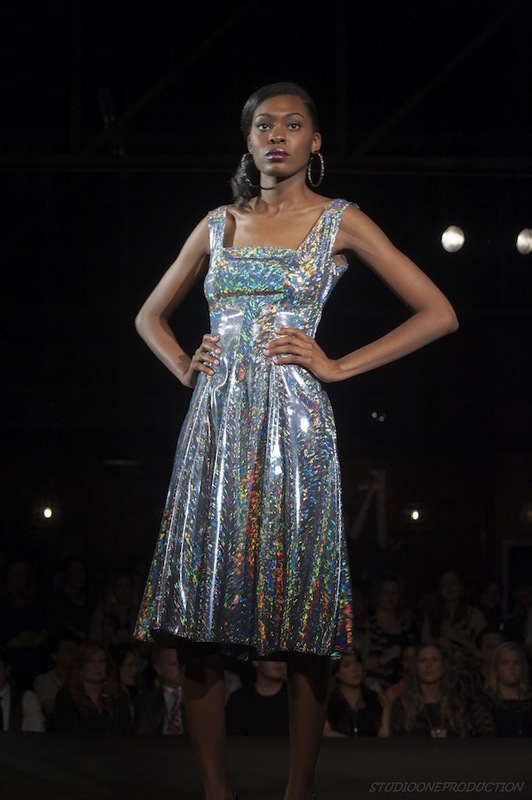 The first night of runway shows for Nashville Fashion Week were not only fantastic, but set the standard for all fashion shows to follow during the week. 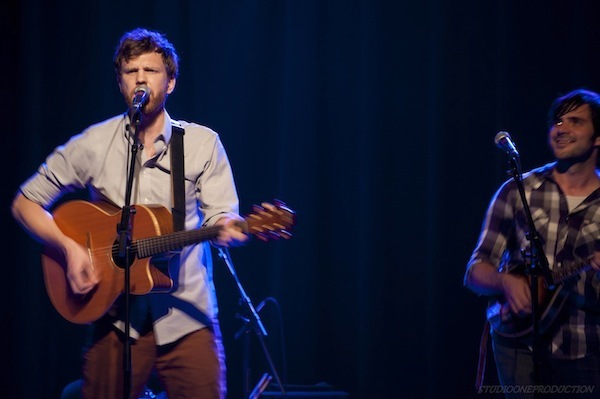 Located in the artsy and charming Marathon Music Works, guests were invited to enjoy complimentary cocktails and a 2012 cherry red Lexus in the lobby. Designers Valentine Valentine, By Smith, and T.Rains were all paired with musical acts whose performances preceded the introduction of the individual lines. 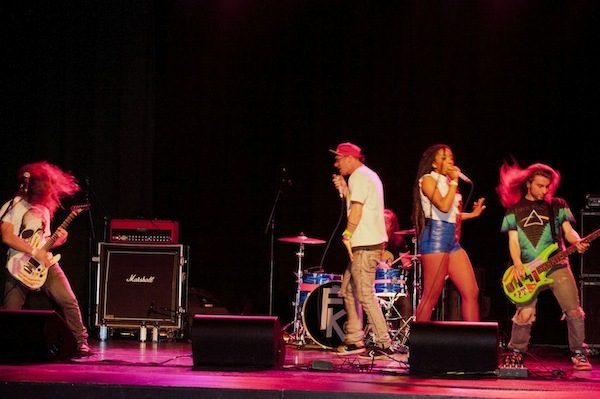 Musical performances by Five Knives, Humming House and Shinobi Ninja helped to showcase incredible musical talent as the gorgeous garments were showcased on the runway. Valentine Valentine by Amanda Valentine opened the show and caught the attention of many with her pairings of metallic and earth tones. 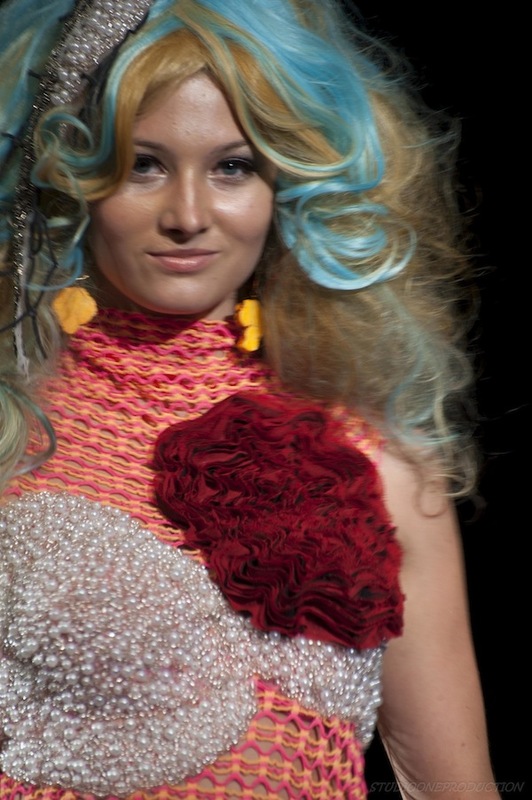 Valentine, who also showcased her line in 2011 Nashville Fashion Week, continued her use of contrast and dissonance in her designs. Flowy skirts were matched with constricted tops and flirty dresses helped to show appreciation for the female silhouette. 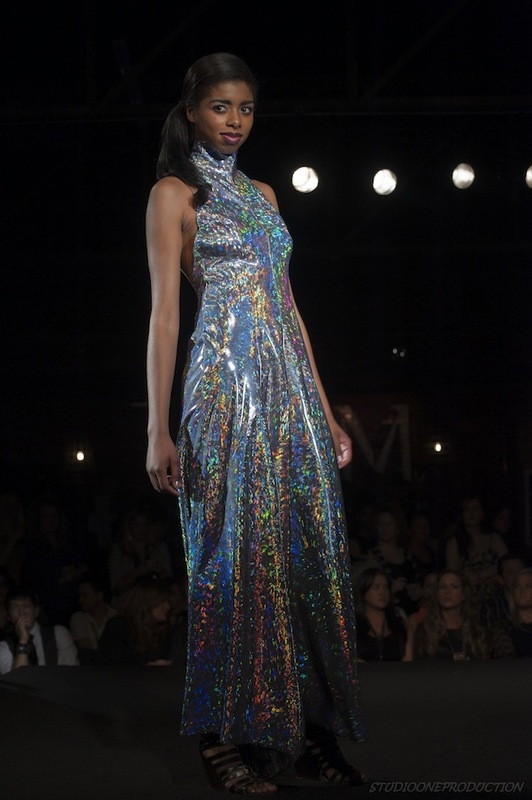 and a floor length metallic gown. By Smith by Smith Sinrod was next to show her line. 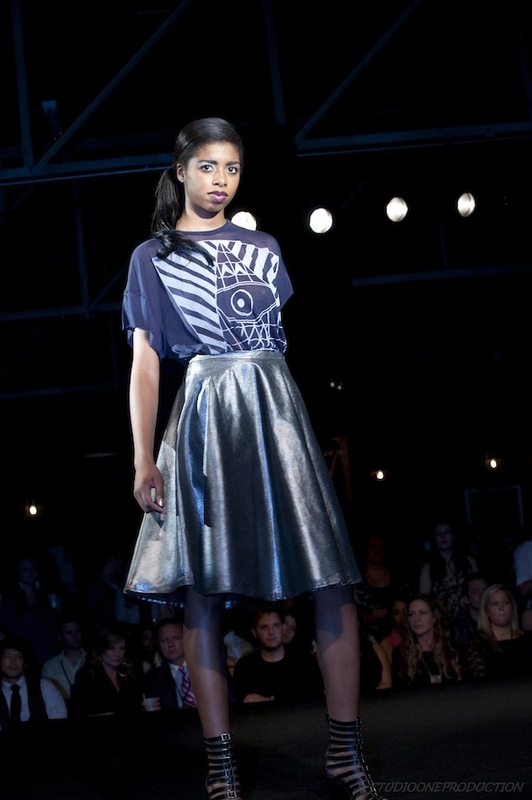 Sinrod is a graduate of the University of Alabama’s Apparel Design program and launched her line in Spring 2012. 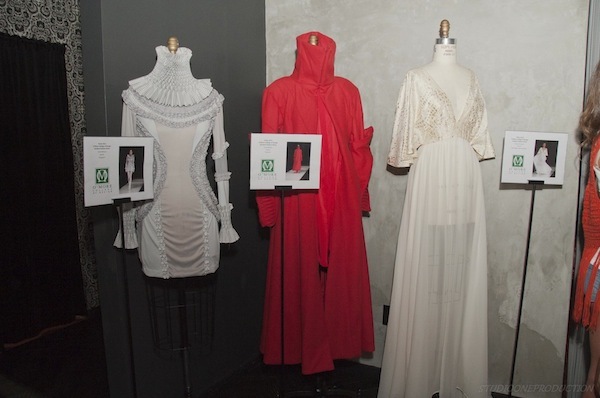 Her collection was an assembly of classy and chic apparel for women. By Smith incorporated the use of Thai Silk, bright colors and boldpatterns to create fantastic designs coveted by all in the audience. and a variety of sheer silk shirts paired with high-waisted shorts and skirts. 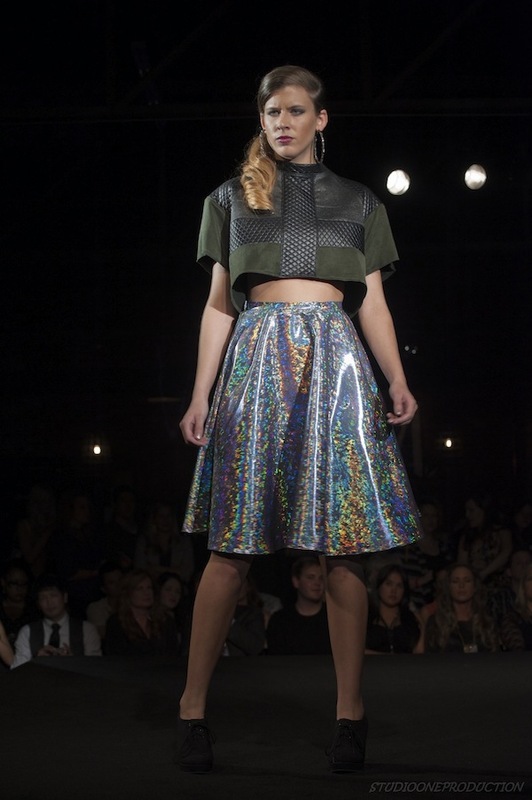 Closing the show was T.Rains by designer Traver Rains. Rains, who is known for combining two very different aesthetics together to invent a dynamic creation, captivated his audience with a line inspired by mermaids and rock. 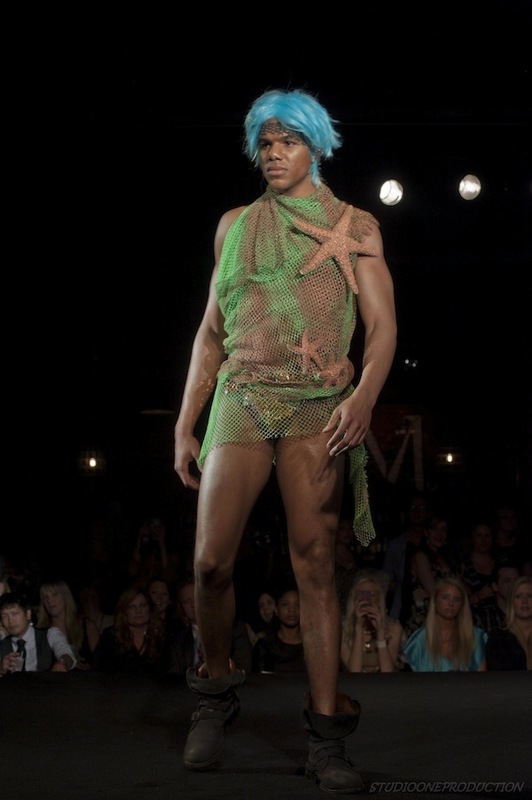 and ocean- inspired bathing suits worn by both male and female models. 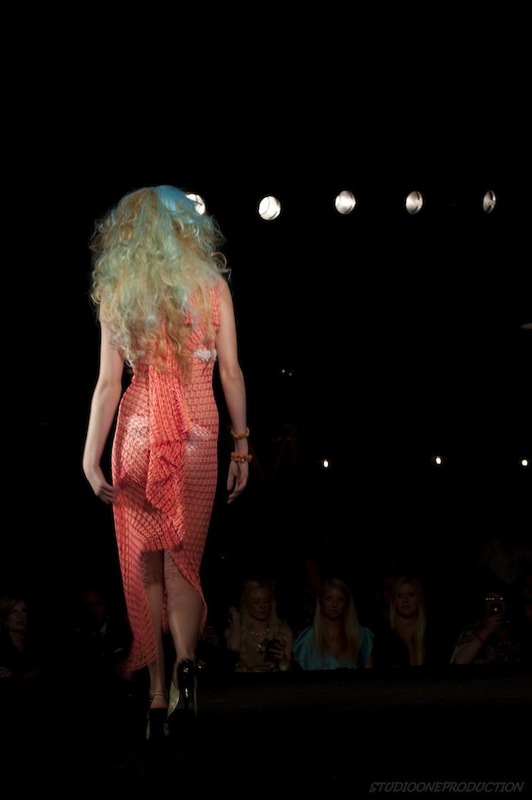 The first night of 2012 Lexus Nashville Fashion Week was a beautiful collaboration of music, fashion, and culture. 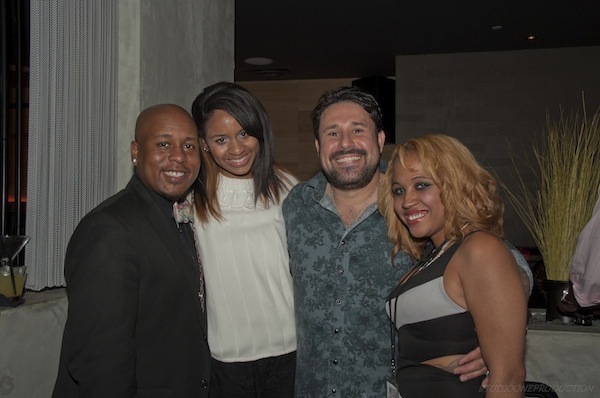 The Cosmetic Market and Trim Classic Barber & Legendary Beauty Salon provided hair and makeup for the show. 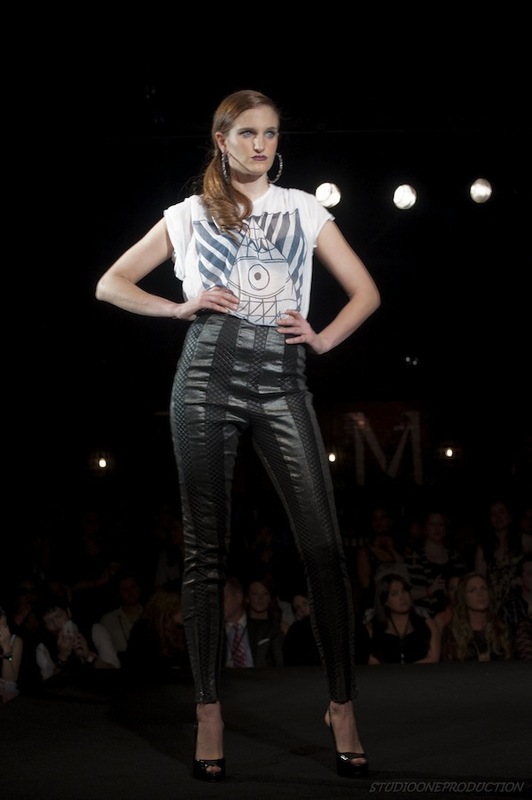 Talented models including Leona Walton, Carson Nicely and Dionna Barnes walked effortlessly courtesy of Macs / Amax. 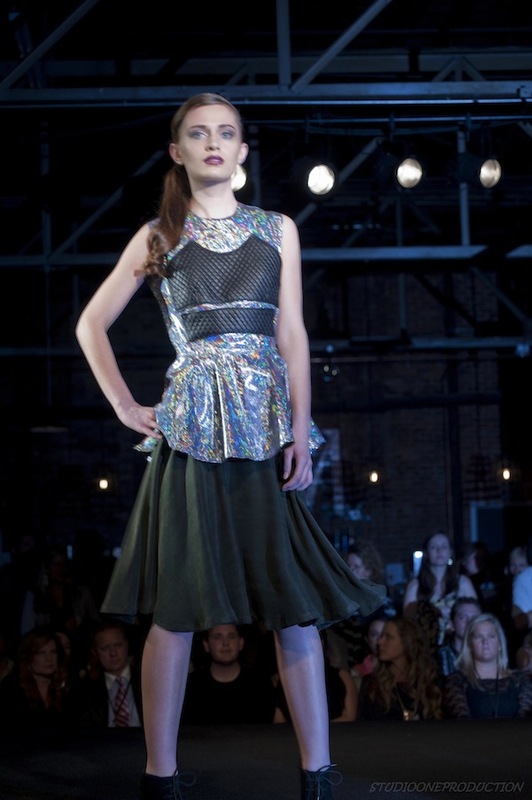 The Official Nashville Fashion Week After Party was hosted by Citizen and sponsored by O’More College of Design. 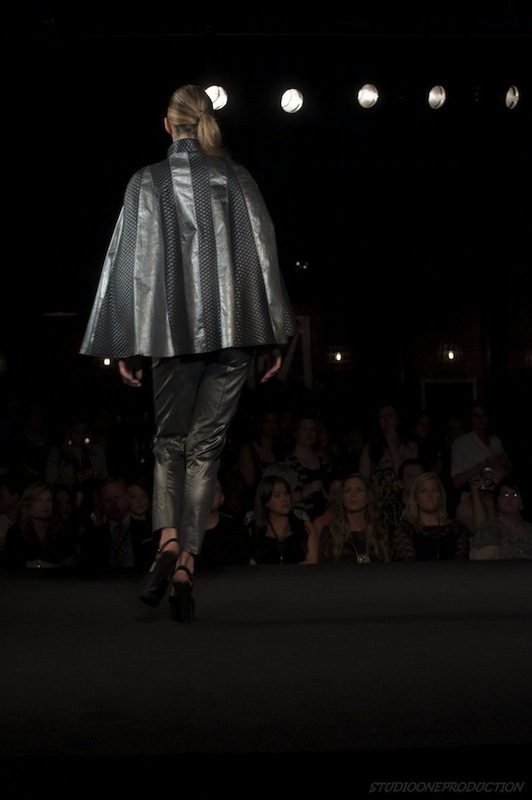 The night provided a taste of all of the wonderful shows to follow during the second annual Nashville Fashion Week.